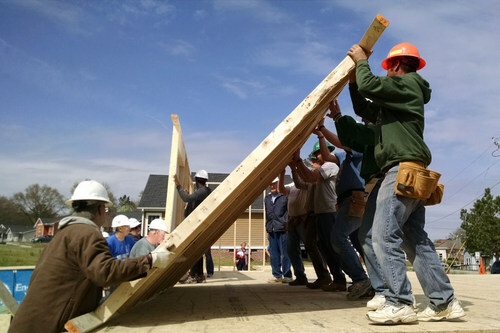 Habitat for Humanity will hold a Wall-Raising Ceremony on March 25, 2017 at 11:15 AM. The location will be at the Episcopal Build home, 921 Skinner Drive, Raleigh. The Rev. George Adamik will introduce the partner family. The ceremony will include Bishop Anne Hodges-Copple and several other clergy. Click HERE to download the Wall-Raising Ceremony program. Click HERE to read about St. Paul’s role in the house-build program in April and May.